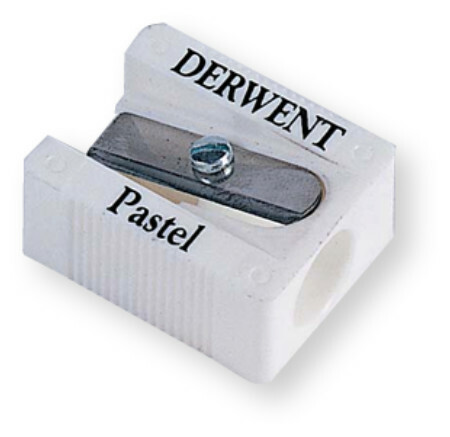 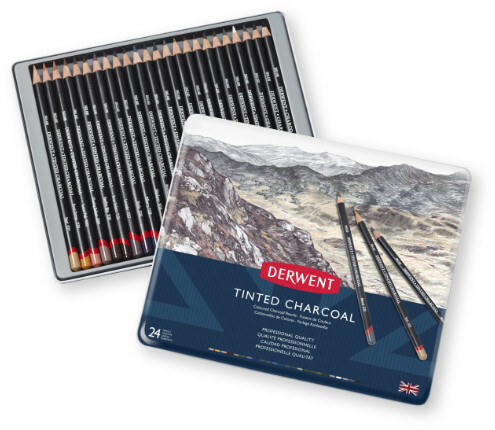 Derwent Charcoal & Tinted Charcoal ranges have all the properties of traditional charcoal and none of the mess! 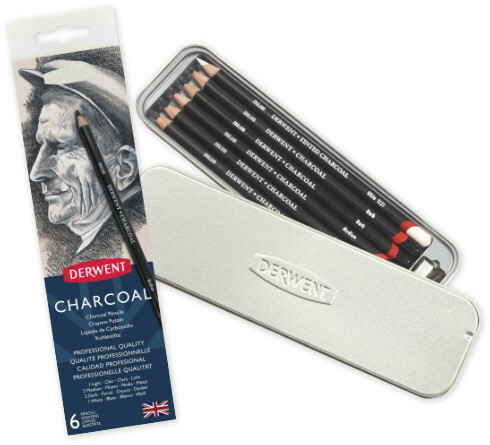 With a broad 8mm barrel they are comfortable to hold and the 4mm core makes for dramatic and expressive sketching. 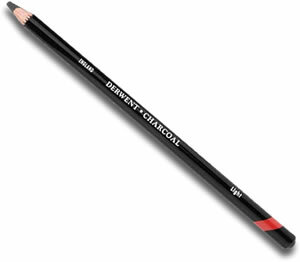 Charcoal is naturally watersoluble so use a brush with a little water to create other effects and finishes. 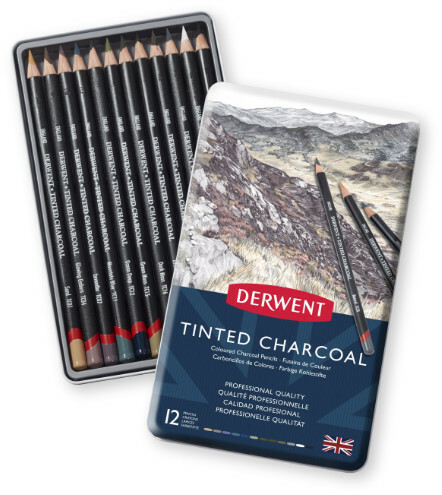 The entire Tinted Charcoal range in a handy tin.